Good nutrition is crucial when you are sick. Cancer treatment can take a toll on the body which makes it even more important have nutritious eating habits. 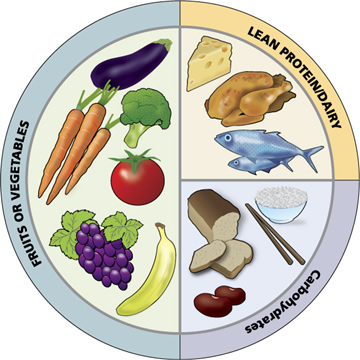 Nutrition needs vary from person to person. Gayla Comer, a registered dietitian with FirstHealth’s Cancer Program can help you find the diet that is right for you. This includes important nutrients such as protein, carbohydrates, fat, water, vitamins, and minerals. Protein: Protein is needed for growth, to repair body tissue, and to keep your immune system healthy. If the body does not have enough protein, it can break down muscle and use as fuel. A lack of protein makes it difficult to recover from illness and can lower your resistance to infection. Good sources of protein include fish, poultry, lean red meat, eggs, low-fat dairy products, nuts and nut butters, dried beans, peas and lentils and soy foods. Fat: Fats and oils are made of fatty acids and serve as an energy source for the body. Because of the effects certain fats have on your heart and cholesterol, remember to choose monounsaturated fats and polyunsaturated fats more often than trans fats or saturated fats. Carbohydrates: A another source of energy, carbs give the body the fuel it needs for physical activity and proper organ function. The best sources of carbohydrates are fruits, vegetables and whole grains. These foods also supply vitamins, minerals, fiber and phytonutrients. Water: Body cells need water to function. If you don’t consume enough fluids or if you are losing them through vomiting or diarrhea, you can become dehydrated. It is recommended that you drink eight 8-ounce glasses of water a day.